Crystal Clear Filtertron Pickups. Hand wound with 44 plain enamel wire. Designed to offer a powerful mid range with little compression. 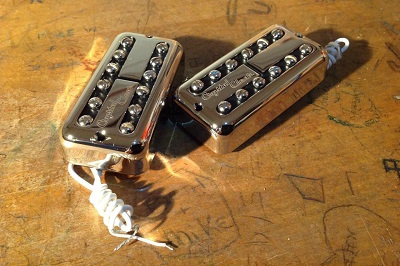 The pickups offer tons of character and tone definition. We use a ceramic 8 magnet for clarity response. Our hands on experience with vintage instruments gives us the upper hand to reproduce authentic vintage tone.